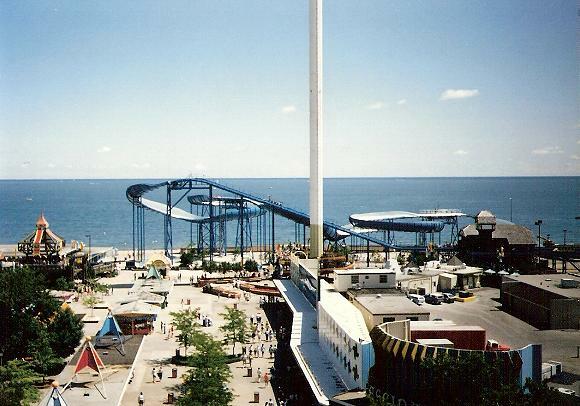 Posted by ronannarbor in Cedar Point, Entertainment, Travel. It’s been a long time coming — and Disaster Transport (nee Avalanche Run) will offer its last toboggan run on Sunday July 29th. The ride is slated for demolition (along with Space Spiral a few weeks later) to make room for next season’s new B&M-manufactured wing coaster. Built in 1985, Avalanche Run opened with great fanfare along with a handful of the toboggan coasters opening across the country. Seen here outdoors, it was a fast favorite of fans, despite its low thrill factor, with very long wait times and slow load times. A few years later in 1990, Lake Erie, sand, and the elements were beginning to have their way with the track. Throwing good money after bad (most parks that installed the toboggan coasters removed them within a few years because of the extraordinary and expensive maintenance required on them vs the low interest/thrill factor) Cedar Point enclosed it in a large warehouse type structure; themed it to outerspace transport gone amok, and Disaster Transport was rebranded. 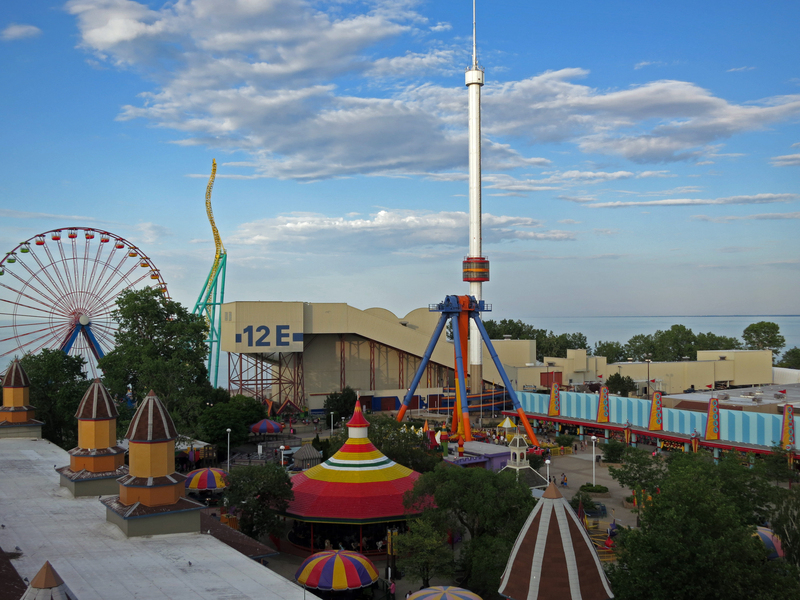 Known mostly as the coaster you road when it was really hot outside; Cedar Fair did little in the way of maintenance. As lighting and effects wore out, they were simply abandoned. The queue line was shortened to its current lackluster state. Over the years paint, lights, animatronics, and other effects were simply afterthoughts and most current riders don’t even know what it looked like in the early 90’s since most of the effects have been gone for 15 years. There are plenty of other blogsites that carefully discuss the history and the effects in the ride — so I will leave that to them, and to your Google search.But I will leave this for last, a photo of Disaster Transport taken from the Skyride with Space Spiral in front of it. I had a final ride on Disaster Transport/Avalanche Run yesterday — and for all those many years of lackluster (but fun and air conditioned) rides, I salute you. Goodbye Disaster Transport.